St Kilda's new assistant coach Brendon Lade is determined to make his mark at Moorabbin. We’re really looking forward to getting stuck in when the players are back next Wednesday. 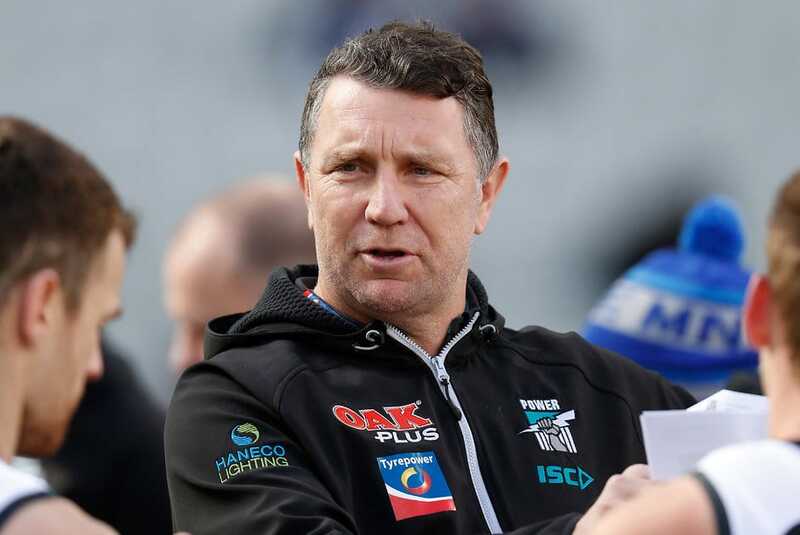 Brendon Lade is just two weeks into his new role as St Kilda’s ruck/mids coach, but the ex-Port Adelaide premiership star is intent on making an impression at Moorabbin. Lade’s decorated 13-year playing career as a ruck/forward at Port included a premiership, dual All Australian selection and a best-and-fairest. Add seven years as an assistant coach at Richmond and another at Port Adelaide, and you have the makings of a seriously impressive footballing resume. Having officially commenced his duties at Linton St last week, Lade said the foundations are laid for a much-improved Season 2019. “There are some really good people here,” he told saints.com.au. Brendon Lade (R) and Brett Ratten (L) are looking to make an immediate impact. Lade will work closely with the Saints’ two newly re-signed ruckmen in Billy Longer and Lewis Pierce, and he’s excited by the prospect of healthy competition between the pair. “They’re both young, developing ruckmen, so hopefully we can fast-track that and get them ready for Round 1,” Lade said. “With just the one year each (on their contracts), it sort of puts them both on edge a little bit I guess, which can be a good thing. Sitting just metres from Lade is fellow newcomer Brett Ratten, and the duo is looking to make an immediate impact. “We’ve been together for the last week and a bit by ourselves, so we’ve become pretty close,” said Lade. Lade joins the Saints in a full-time assistant coaching role, specialising in both the ruck and midfield.